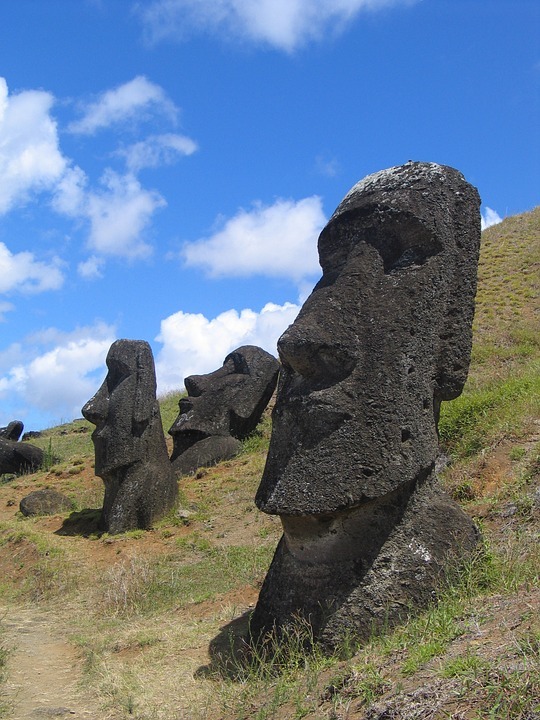 It’s no doubt that Easer Island is well known for its mysterious history and of course hundreds of Moai statues. Various theories surround the origins of these giant stone statues – but in actuality they are the left behind by the Rapa Nui Civilization that inhabited the island a thousand years ago. 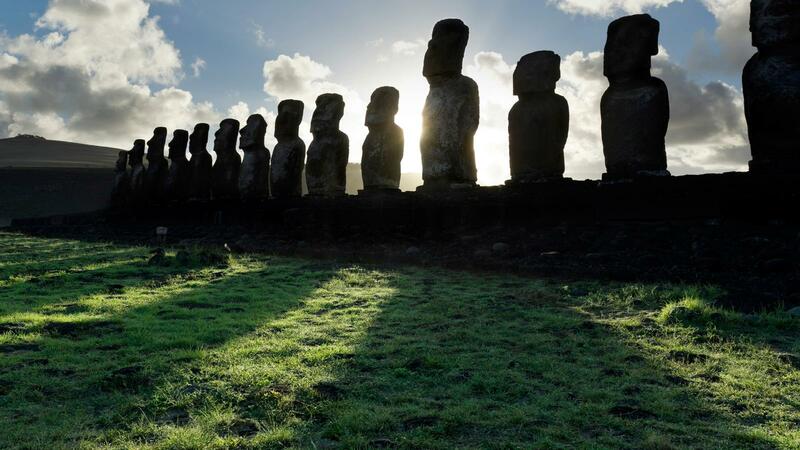 Flights are readily available from Santiago, Chile or also Tahiti, with Santiago being the more economical of the two directly onto Easter Island. LATAM is currently the only airline servicing the island. January to March is the best time to visit – the summertime season for the southern hemisphere. Winter is still quite pleasant year round, crowds between April – December are reduced in the off-season. About half of the Moai on Easter Island are located in the Rano Raraku National Park. They are monolithic human statues carved from stone between 1250 & 1500 AD.The Moai’s are on average 13 feet tall and over 14 tons. One of the most beautiful sites on the island is Tongariki – and at sunrise one of the most beautiful displays of culture! There are 15 moai statues standing next to each other on the Ahu (a ceremonial platform). These moai face inland, which is said to protect the community. Surprisingly the sunrise on Easter Island in the summer months is quite late – from January through March it starts at anywhere from 720am – 830am, so no 5am wakeup call for you! 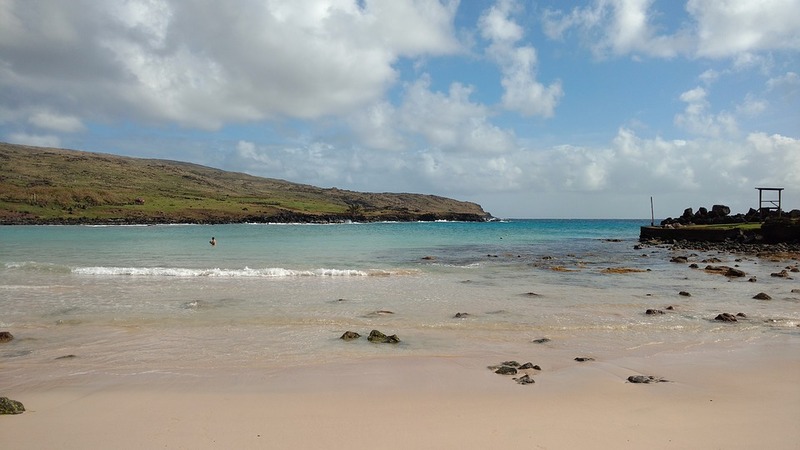 There are a few small beaches on Easter Island, as most of the shoreline is volcanic and rocky, but Anakena Beach specifically is iconic. According to tradition, this beach is home to the first settlement on the island. This white coral sand beach at the foot of a volcanic cliff is a great place to relax and unwind, while taking in the breathtaking ocean views. During high season there will be food, ice cream, & drinks for purchase. Easter Island is a very small island, making it perfect for being able to leisurely bike around on, with very slight inclines. You can bike the entire island in a day, still leaving time to enjoy the many sights. There are many biking routes along the island but our favourite has to be Hanga Roa - Rano Raraku - Ahu Tongariki along the coastal route! Check out the written history of the Rapa Nui Civilization on Easter Island at Papa Vaka. 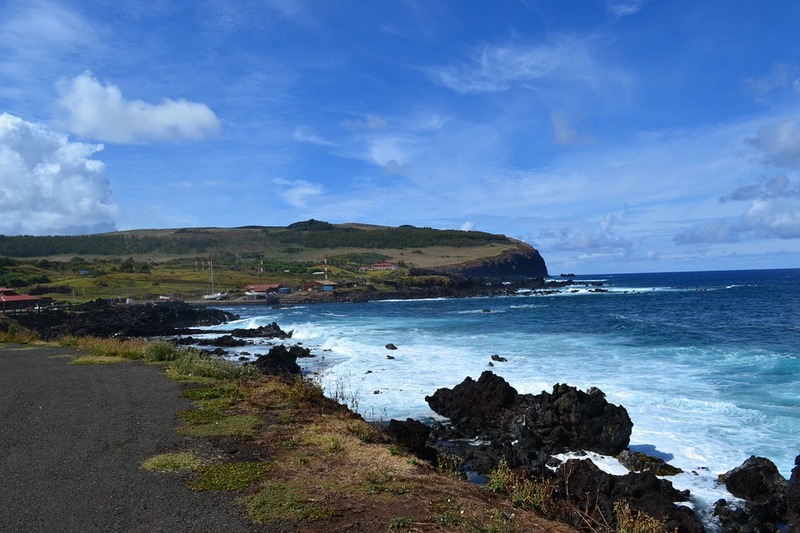 Traces of the Rapa Nui are found in the form of pictorial petroglyphs (fishing, canoes, and marine animals) all across the island, but the ones of most significance are found at Papa Vaka, Ana Kai Tangata, and Orongo. While Easter Island doesn’t have mountains, there are still some lovely hikes you can do in a short amount of time. Terevaka is the highest point on Easter Island, approximately 511 metres above sea level, offering a 360 degree view of the island. While you’re up there you’ll be able to take in views of the remaining stone village and ceremonial area of Rapa Nui. Once you’ve made it to the top (approximately 4.5km uphill) you have a few options – walk back down to Vaitea, the area where you started the hike, walk to Ahu Akivi (3.5km) where you can get a ride back to the village, or make the (10km) trek back to the village, passing by Ahu Akivi along the way. 7. Catch the sunset at Tahai Located on the edge of the village (Hanga Roa) is Tahai – a gorgeous place to watch the sunset. 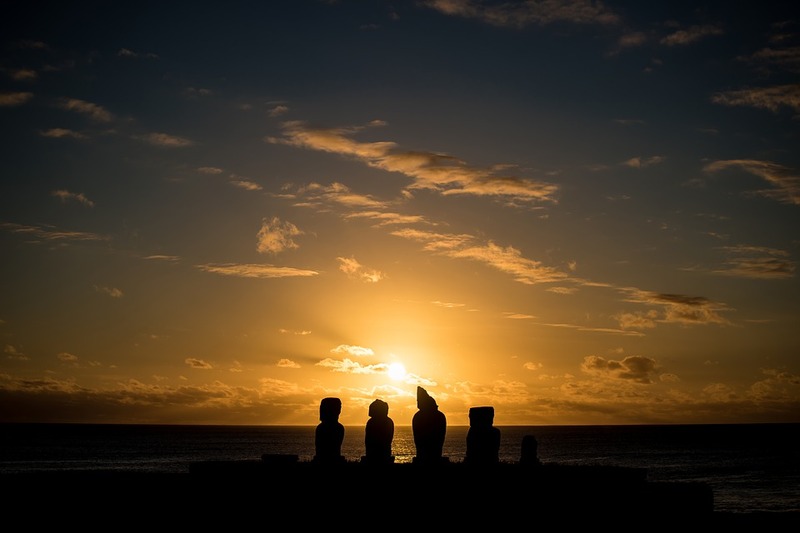 There are 5 moai standing on an Ahu, the ocean right behind them in the horizon – the picture perfect end to your day. The Rapa Nui civilization may be extinct but the tradition and culture is still strong as ever. Locals still speak the language and practice traditional aspects of the culture, such as dance. In the village of Hanga Roa you can observe the traditional dance of the Rapa Nui at Vaitemiki for free on Mondays, Thursdays, and Saturdays. There are other days available that include dinner – inquire for times + dates! Discover the caves of Easter Island – yes they’re stunning! 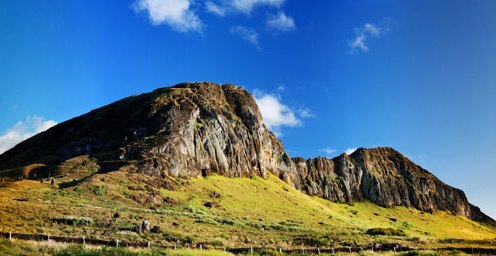 Admire the geological and cultural heritage of Rapa Nui, with underground galleries totaling more than 7km in length – the largest system of volcanic caves in all of Chile, and one of the largest in the world. Bring a flashlight and wear a shoe with a thick sole. 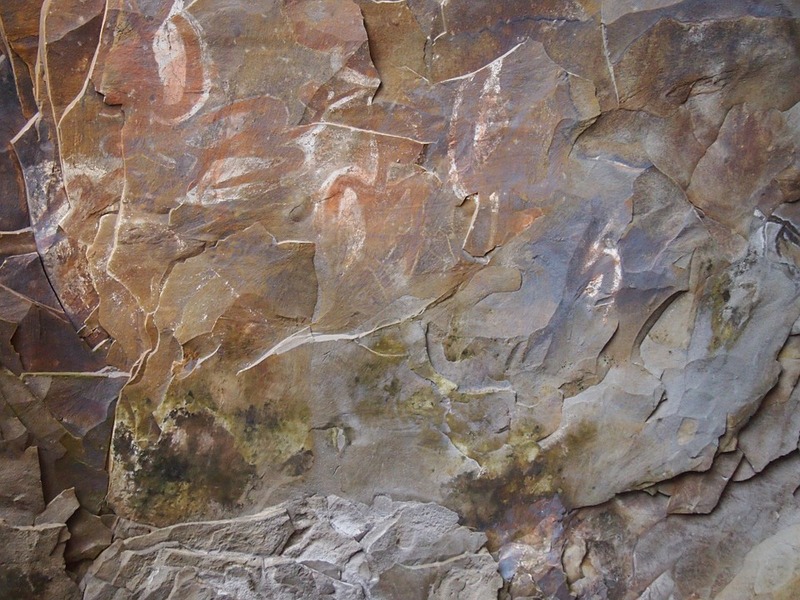 Ana Kai Tangata is one of the most accessible caves on the island – located on the southern part of Hanga Roa – you’ll in in awe of the cave paintings and close proximity to the ocean. The cave known as Ana Kakgenga is a volcanic tube, about 50 metres long, (otherwise known as ‘the cave of the two windows’) because the lava flowed to the ocean and went out through 2 mouths or windows that give directly to the cliff. 10. Get your Moai passport stamp. While Easter Island is a territory of the country of Chile and you can’t get a stamp at the airport, you can always visit the local post office in town and get a stamp in your passport of a cute Moai. The stamp of course has no legal effect - it's just for fun! Our Adventure Travel specialists here at North South Travel work very closely with tour companies offering fantastic experiences on Easter Island, which we highly recommend, from years of experience!